Shingles is known for its cause of painful blisters on the skin, but it is possible to experience shingles without rash. Noting your other symptoms and getting treatment early is key to preventing dangerous complications associated with shingles. The varicella-zoster virus causes both chickenpox and shingles. After a patient goes through chickenpox, this virus will lay dormant in the nerve tissue around the spinal cord and brain. As the patient ages the chances of this virus resurfacing as shingles becomes increasingly common. Shingles will result in a very aching rash to arise on the skin. The rash can emerge anywhere on the body, however, most often appears on one side of the torso. In some cases, a person can experience what is known as a zoster sine herpete. In this case, the patient will experience all the symptoms of shingles except for the blisters on the skin. While painful blisters on the skin are the most common symptoms of a shingles outbreak, there are other symptoms you can use to diagnose the condition. Not all patients suffering from shingles will develop a rash. Pain- Shingles is a very painful disease. This pain is typically described as a deep boring or stabbing sensation that is very severe. Because of the impact on the nervous system this pain may have an electric feel to it. In many cases pain will only affect one side of the body and will be localized to a specific area of the skin, though the disease can affect as many as three spinal nerves at a time. As the disease affects the skin, patients may experience a prickling, itching, or numbness on the skin as well. Flu-like Symptoms- Patients will often develop flu-like symptoms just before the skin lesions appear. This can include body or muscle aches, headaches, mild fever, a general feeling of illness or poor appetite. These symptoms can last as long as 7-10 days. It is important to note that unlike a cold, patients will not develop a runny nose or cough when suffering from shingles. Movement Problems- If the shingles virus is affecting nerves that help to control motor function it can cause the patient to suffer from difficulty moving properly. You may notice weakness in the arm, leg or abdomen on one side of the body. In some cases this can affect the diaphragm, making it difficult to breathe properly. Some patients also notice difficulty moving one side of the face, including difficulty moving or focusing with one eye. If you note that you are suffering from symptoms typically associated with shingles it is important to tell your doctor right away. While you may not develop a rash, patients will still feel the tingling, burning sensation associated with the virus moving from the nerves to the skin. This sensation will typically only be on one side of the body. If you have had the chickenpox virus you will need to talk with your doctor to confirm your diagnosis. Because there are no blisters to check, your doctor may perform a blood test to check for the shingles virus. This will also help them rule out other conditions that cause similar symptoms. Once it is determined that you are suffering a shingles outbreak, your doctor will determine what level of care is appropriate. Many patients can be treated with medications like Valacyclovir or Acyclovir and home remedies. In severe cases patients may need to stay in the hospital for treatment. Zoster sine herpete is a form of shingles that appears without a rash. It is uncommon. Though it is possible to get shingles without blisters, a rash with blisters is one of the main symptoms of shingles. 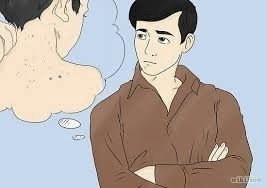 If you don't have a rash and suspect shingles, it is more likely that you are in the beginning stages of the condition. When shingles first appear the symptoms may not include a rash or blisters, which can take anywhere from 1-14 days to appear. The first signs of shingles are often mild and many times go unnoticed until the rash appears. Early shingles symptoms are usually isolated to one side of the body and can include a burning sensation, sharp pain, or itching. Shingles can also mimic flu-like symptoms such as fever, chills, and nausea. Once the rash appears, the blisters usually follow a few days later.